In May 1991, I received an OAC/Ontario Arts Council grant to fly out to Spearmint Lake (60 km northeast of Chapleau), a remote lake only accessible by air - to record an album of music celebrating northern Ontario. Rented van w/gear, driving up alone that early August and flying out, I set up a make-shift studio in the large tent, powered by a generator buried back in the woods and recorded sounds from the lake/woods (exterior) and integrated those sounds into an ambient mix of layered music synthesizers and samplers all inspired by the location. 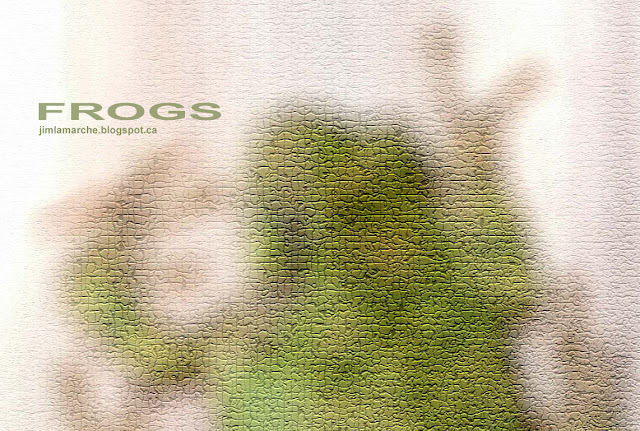 When I returned to Toronto and began mixing it, I realized that I was 10 minutes short of having a full album, so I wrote 2 more pieces, Gone Forever and Frogs in my home studio in Parkdale that autumn in memory of my time at Spearmint months earlier. My wife Jody Terio had gathered some early morning frogs on a pond at her Aunt Joyce's out in the country (Uxbridge), through a binaural/ambisonic microphone onto a portable digital audio tape recorder and I integrated them with what I had laid down at home and Frogs was born. This piece sounds best under a good pair of headphones and in a darkened room. I recently gathered HD images from the internet that reminded me of Spearmint and assembled this in Final Cut in a few hours. It was a magical 10 days alone in the wilderness, surrounded by wildlife, the aurora and a black bear which was spooky scary but exhilarating.